New Waverley is a £150 million groundbreaking development delivering a brand new civic square, 4 brand new hotels with Apple Apartments, Premier Inn, Hub by Premier Inn and the Adagio Aparthotel. Coming soon is over 160,000 sq ft of cutting edge Grade A office space, 148 stunning apartments / townhouses and 40 affordable homes. Photos of the demolition progress for this major Old Town redevelopment. 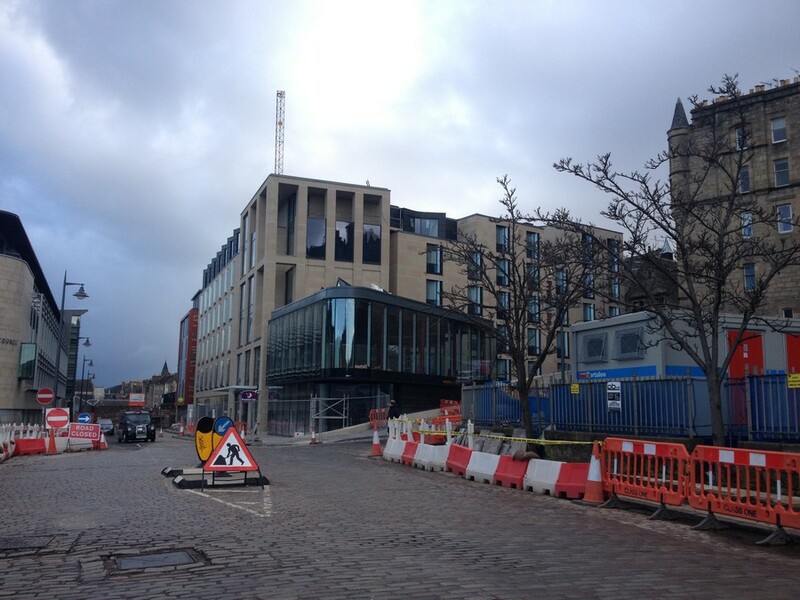 The Caltongate development has been given the go-ahead after more than a decade of controversy and planning hurdles. 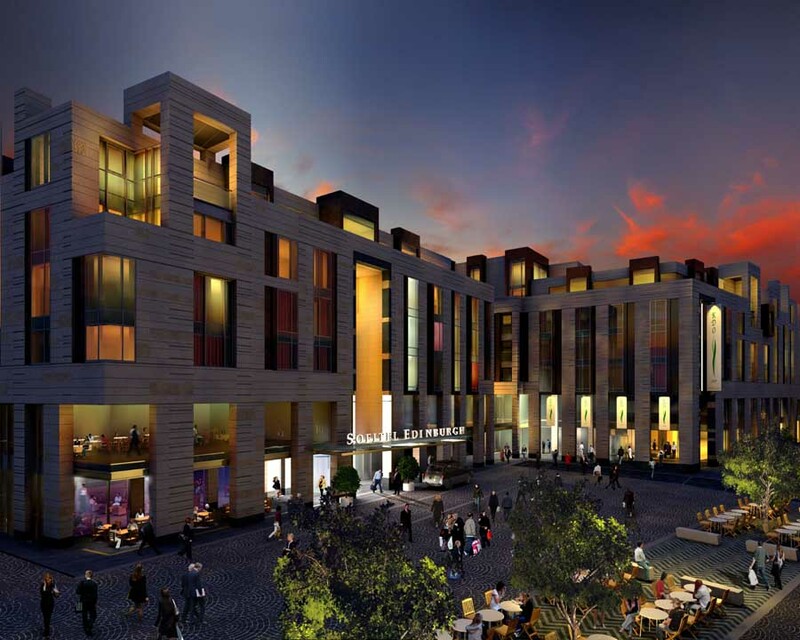 30 Jan 2014 – The Caltongate site will see a £150m leisure, retail and office development covering a total area of around 220,000 sqft built on a derelict five-acre gap site central Edinburgh, reports The Scotsman. South African backers Artisan Real Estate Investors were narrowly granted permission for the project at the City Chambers, with councillors split at eight votes to six. 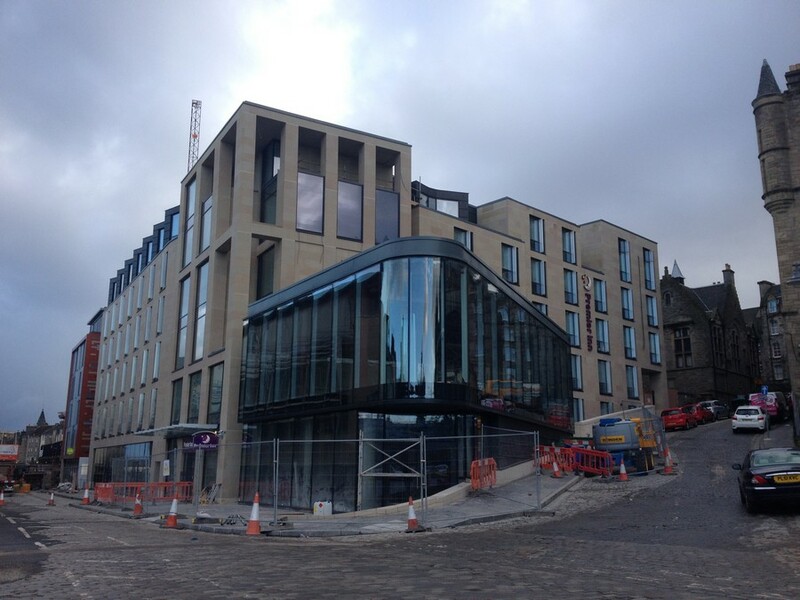 Artisan said it would begin construction of the site behind Edinburgh Waverley Station this summer with the first of the buildings on the site ready by around Christmas 2015. It will create about 2,000 jobs. Best-selling author Alexander McCall Smith had been a vocal critic, warning of the consequences for the city ahead of the decision yesterday, while fellow novelist Candia McWilliam described it as “torpid, tactless”. Among the complaints was the impact of modern buildings within the UNESCO World Heritage Site. 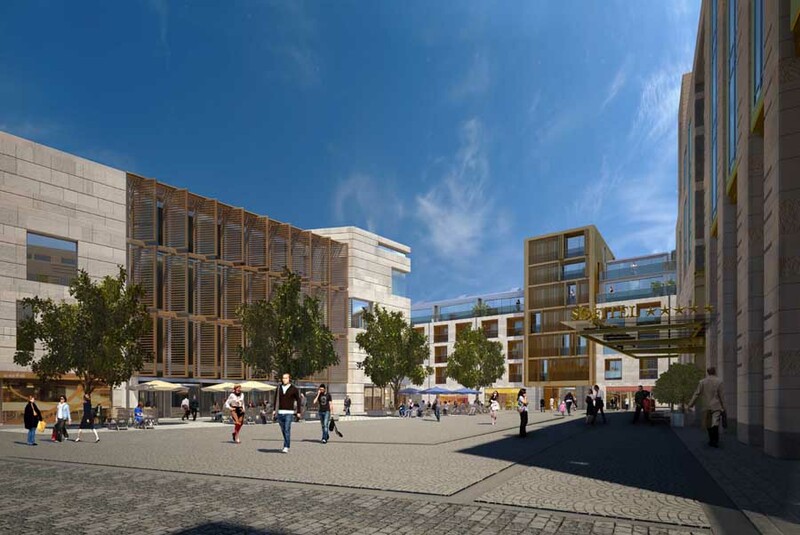 Euan Leitch, representing the Architectural Heritage Society of Scotland, told the committee that Caltongate will look like Edinburgh Park, the steel and glass office development near Edinburgh Airport. 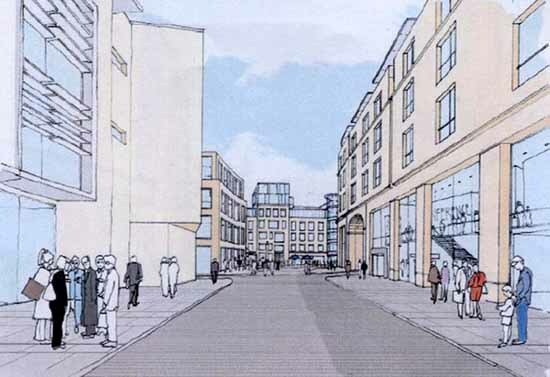 Marco Biagi, the Edinburgh Central MSP, was heavily critical of the design, adding: “In 20 years people will probably look back on Caltongate as they do on the St James Centre”, in reference to the city’s ‘brutalist’ 1960s shopping centre. Local residents had also criticised the provision for housing, highlighting the fact that only 185 housing units, including 40 in the ‘affordable’ category, would be built in such a large site. Councillor Ian Perry, the city’s planning leader, was booed from the packed public gallery at one stage when he said that the scheme was “good enough” to be approved. His own deputy Sandy Howat voted against approval. 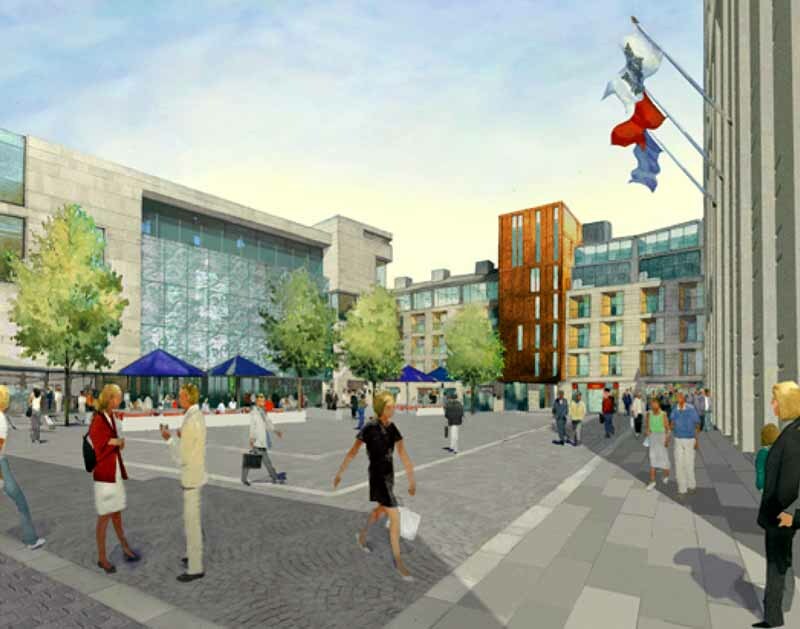 Caltongate will be centred around a £6.5 m civic square. It will also feature a five-star hotel along with two budget hotels, a 128-room Premier Inn and a 130-room Hub by Premier Inn, which features micro-rooms like those found in Japan. 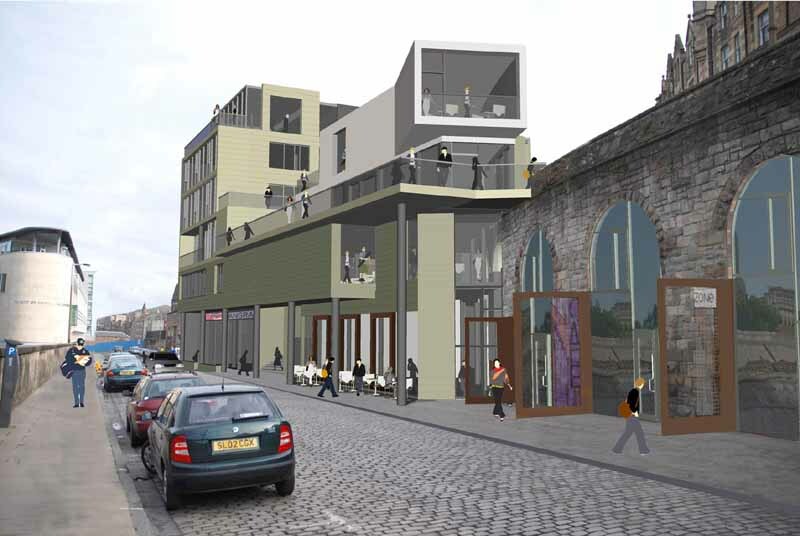 Artisan Real Estate Investors has now lodged a detailed planning application for the Caltongate area of the Old Town. Its 220,000 sqft mixed-use scheme will be centred on a £6.5m civic square with office space, a 400-bed hotel, 28 shops, and nearly 200 homes. Up to 720 jobs will be sustained during the building phase, which is planned to start in spring 2014. 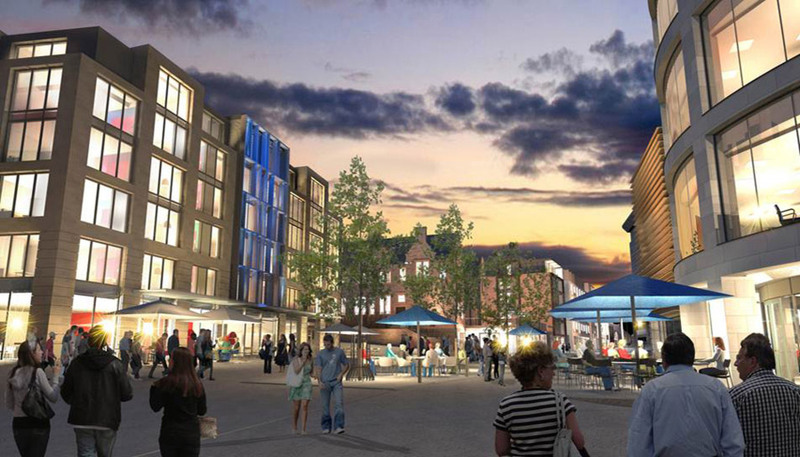 The revived Old Town gap site is expected to generate about £43m for the local economy a year, according to the developer. Artisan managing director Lukas Nakos said: “This planning application marks a significant milestone in the evolution of one of the most challenging city centre developments anywhere in the UK. We are now delivering on our promises made when we first started this process some 18 months ago. 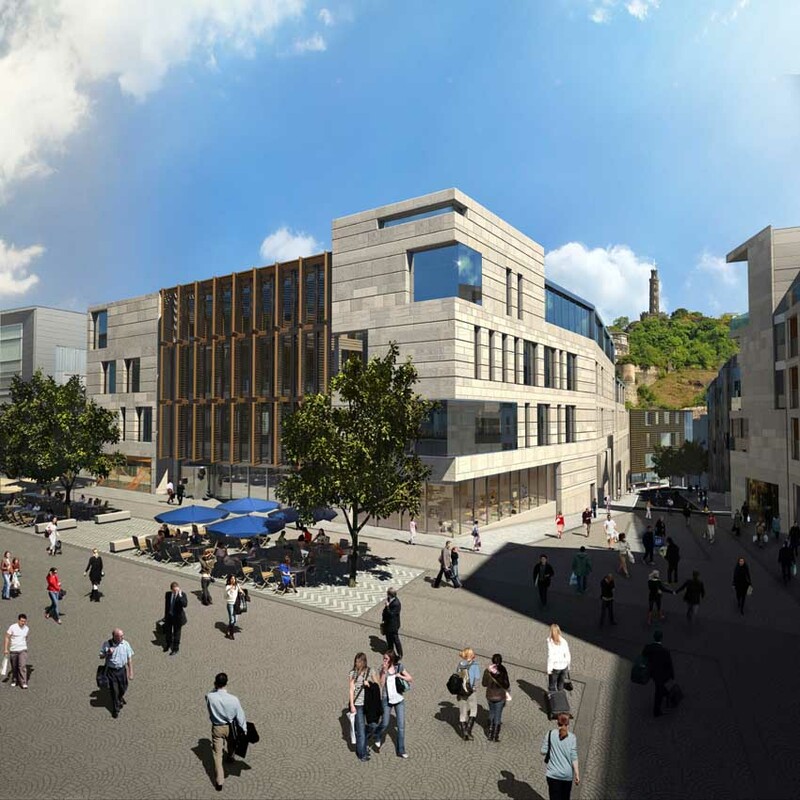 “We now have the opportunity to create, in the very heart of Edinburgh, one of Europe’s most exciting and vibrant mixed-use communities which will set an international benchmark for sensitive and innovative development. “During the last 18 months, we have listened to a huge variety of views and opinions on the development of the site and heard impassioned arguments relating to its unique importance, setting, heritage and community. “Our planning application reflects this varied and dynamic consultation process and we feel we now have a proposal which balances ambitious and flexible commercial priorities with a genuine understanding of the area’s community and civic context. “Artisan will bring international capital investment of £150m to the table, coupled with the vision and commitment needed to complete what has already been started. “This is a long overdue opportunity to revitalise a strategic city-centre location between Waverley station and the Scottish Parliament – whilst being part of the very fabric of the historic heart of the city. 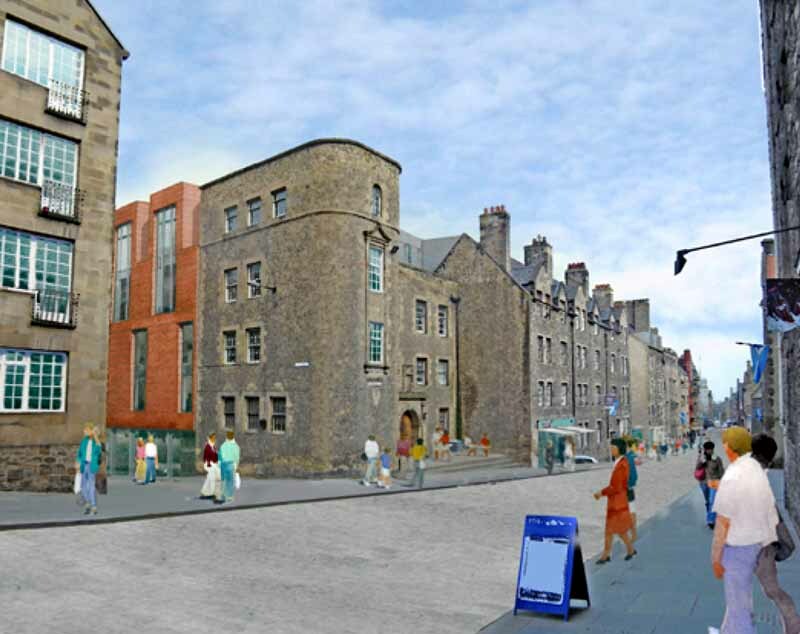 Edinburgh-based Allan Murray Architects drew up the plans for Caltongate. 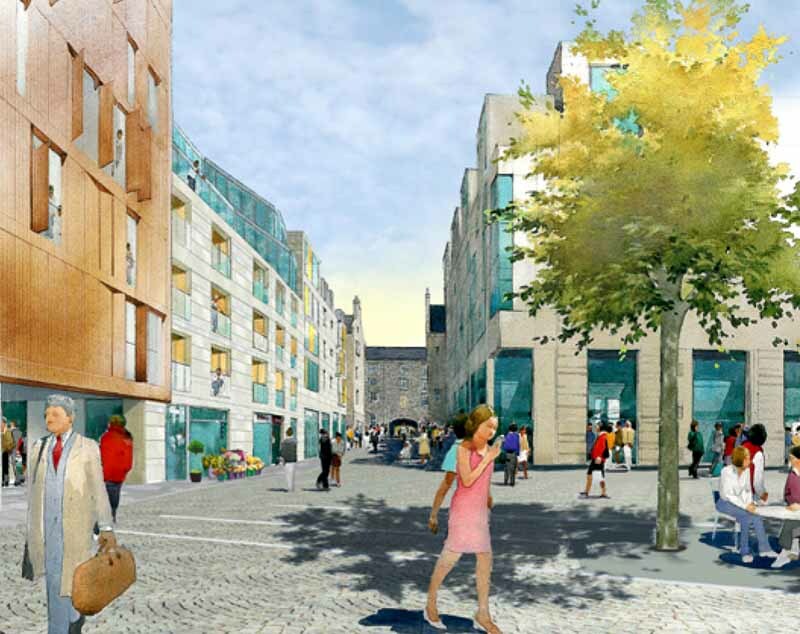 The developer behind Edinburgh’s Caltongate site has been given a three-year extension to its planning approval, reports the BBC. Developer Artisan is now legally entitled to demolish two listed buildings. It asked councillors to take “on trust” that it would not proceed with the work. However, residents have expressed concern that the demolitions might go ahead. 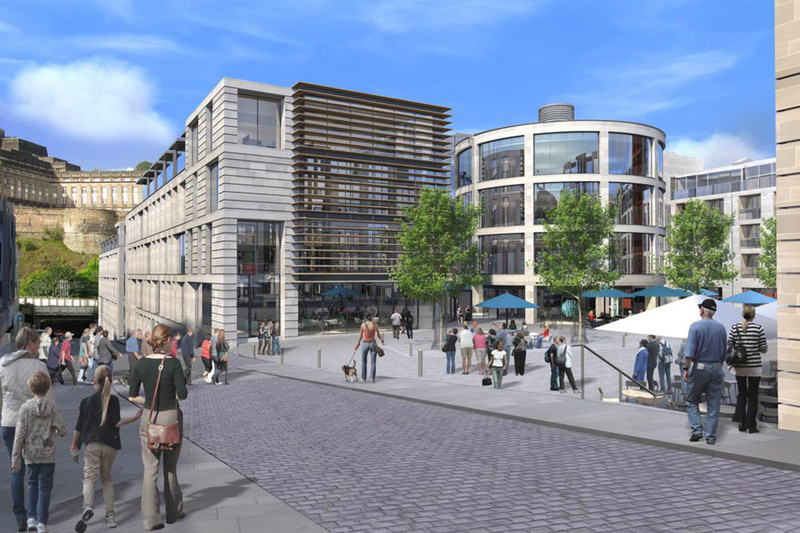 Artisan said it needed to renew the original master plan to preserve the value of the Royal Mile site and attract the investment necessary to allow the revised plans to go ahead. However, the Old Town community council argues the original master plan is now outdated and the demolition consent should be removed. 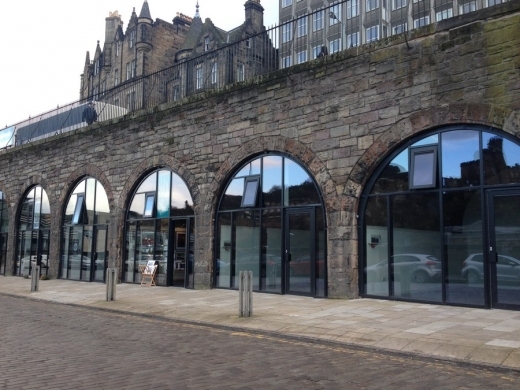 At Edinburgh City Council’s development subcommittee, councillors backed the company by 11 votes to 2, granting Artisan a three-year extension to the original planning consents. Marion Williams, director of Edinburgh’s campaigning heritage group the Cockburn Association, said the planning committee’s decision was one of the worst she had ever seen. She said: “Our major concern is the developer is receiving permissions to demolish two buildings where there has been work done to prove there are viable alternatives. And the material conditions behind the original planning consent have changed because the economic climate in 2008 was completely different to where we are now in 2013.” South Africa-based Artisan said it intends to invest a seven-figure sum in fully revised planning and design with phased work due to start next year. Adrian Welch, editor of edinburgharchitecture.co.uk said “Consent should be cancelled. The listed buildings are part of the rich texture of the Old Town which is already wearing very thin in this area. There are always ways to creatively re-use such buildings. Pressure should be placed on the developer to progress this rapidly ahead of the new-build development which clearly needs much more time to consider. It is crucial the council takes a firm lead here and ensure top quality designs by top quality architects. I’ve said it before but it is worth restating, the North Holyrood masterplan serves as an excellent prototype for this site – a rich matrix of architecture, universally applauded by locals and visitors alike”. 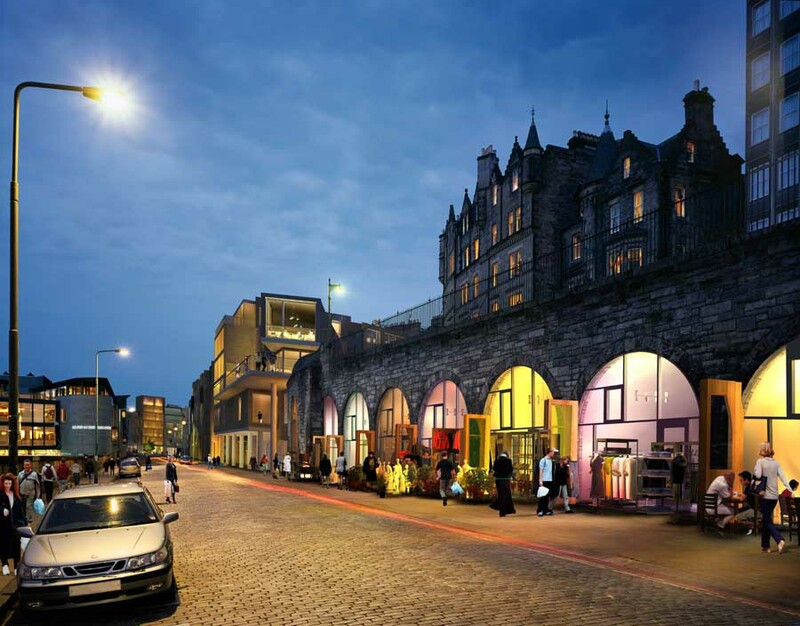 Edinburgh City Council reaches compromise agreement with the new developer Artisan who will make £6.5m worth of improvements to the area around the site, but just a £50,000 contribution to the city’s tram project. 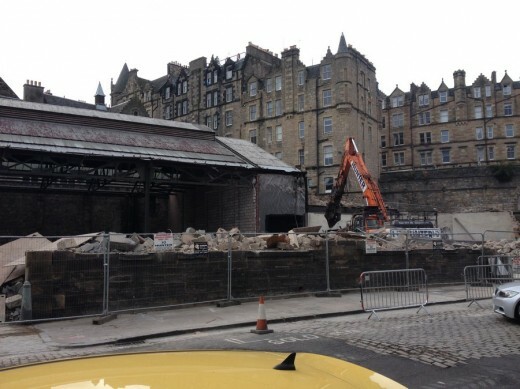 WORK is set to get underway within months on one of Edinburgh’s most notorious gap sites after developers said they would retain almost half of a £300 million scheme off the Royal Mile, reports The Edinburgh Evening News today. 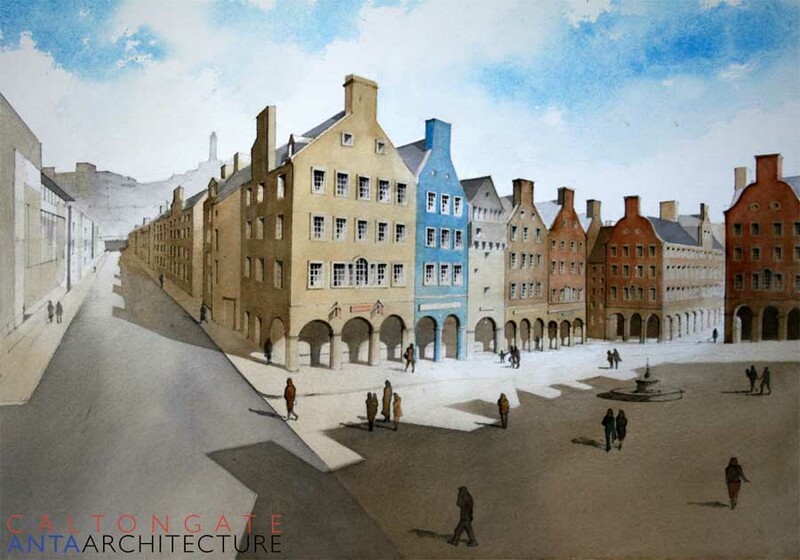 However, some of the more contentious elements of the “Caltongate” project are set to be dropped or scaled back under plans to redraw much of the original blueprint, which triggered an international inquiry into Edinburgh’s world heritage status. A listed former school building that had been earmarked for demolition could now be saved after new architects were called in to redesign the southern half of the blueprint for the site, including a new public square and arts quarter. 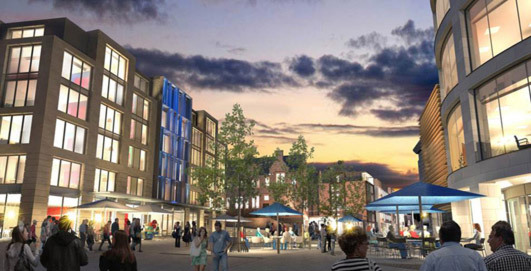 New plans are expected to be submitted to the city council in the autumn, but developers Artisan insist some elements of the scheme do not need planning permission for work to begin. 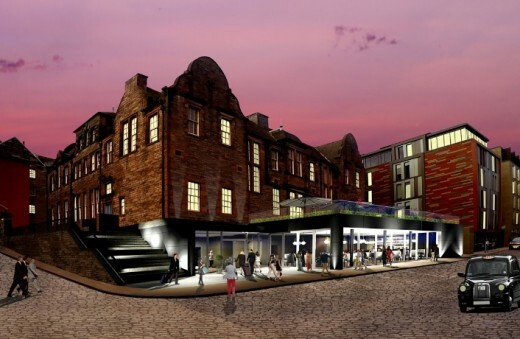 Work is expected to start shortly on several sections of the site adjacent to Calton Road, where a temporary hotel is currently operating for the Fringe. 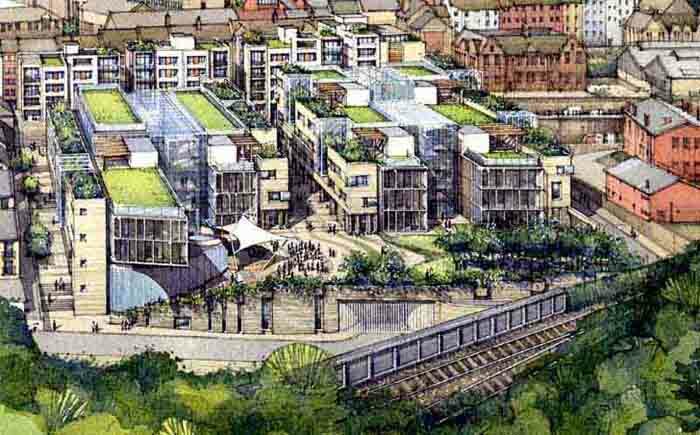 This includes a mixture of regular and affordable housing blocks, office space, retail units and a car park. 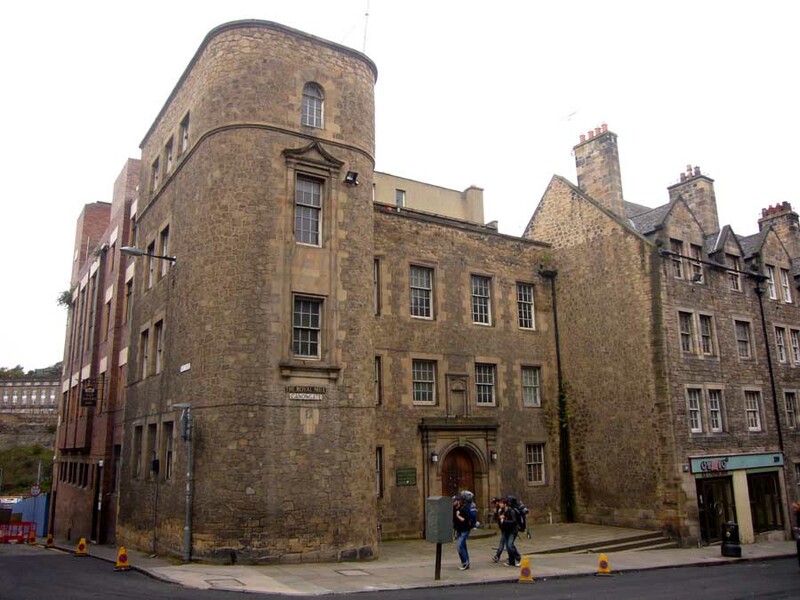 However, the prospect of other changes has raised hopes that the Canongate Venture building, which was due to be replaced as part of a hotel and conference centre complex, could become home to a proposed new writers’ centre. Lukas Nakos, frontman for the South African consortium which bought the gap site out of administration last year, said it had an “open mind” on parts of the site now and pledged the final blueprint would only be decided at the end of an ongoing consultation process. Plans to turn the former Victorian school into a new arts centre emerged months after the previous developers in charge of Caltongate went into administration. 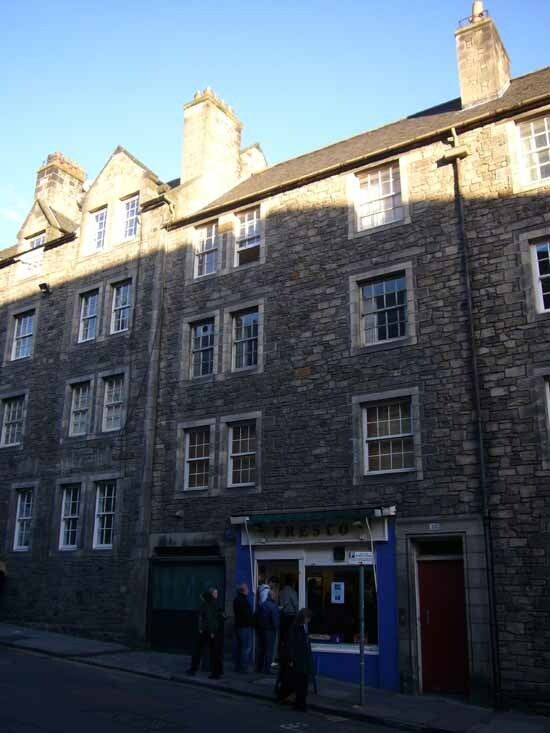 The old school building, which dates back to 1901, would become a hub for publishers, literary organisations, writers and illustrators, under a bid by the Edinburgh Old Town Development Trust. 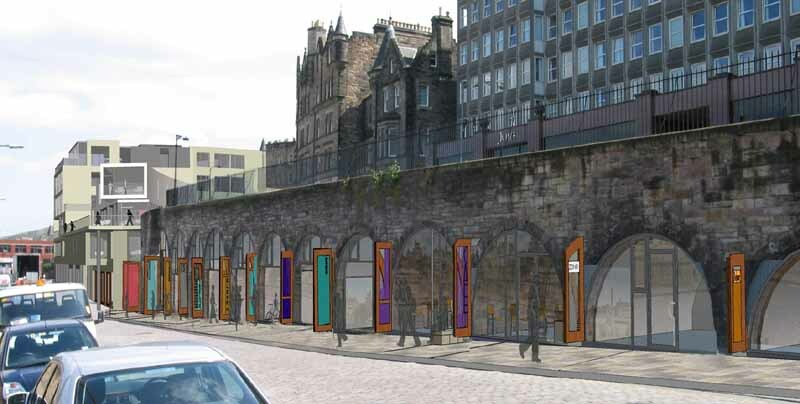 Mr Nakos said: “We are looking at redesigning the whole southern section of the development site, roughly from the arches on Market Street and the proposed public square to the Royal Mile. “We have not made any final decisions over this area. 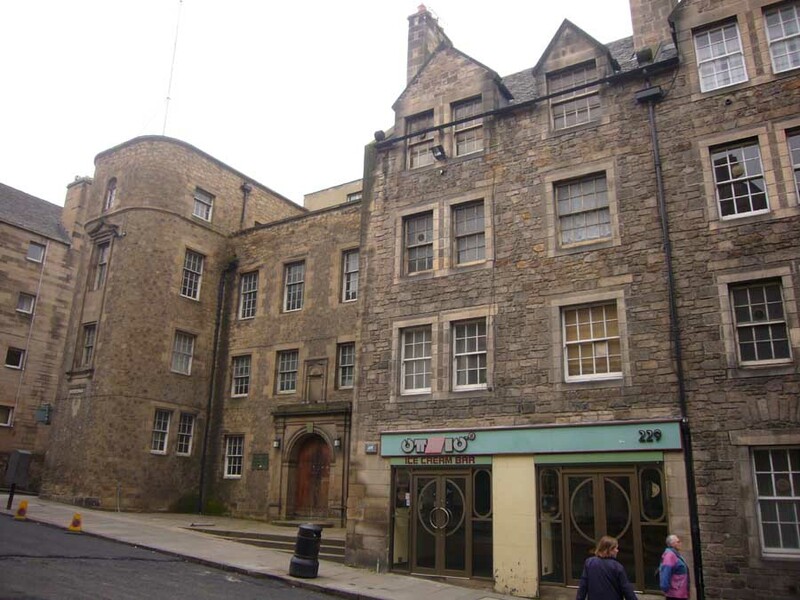 We are well aware of the plans for the literary centre in the Canongate Venture building. 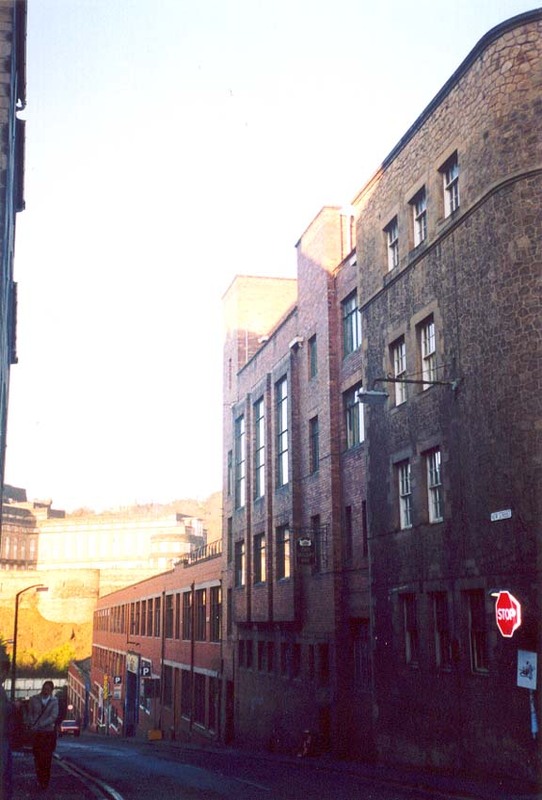 Fears capital could lose its World Heritage Site status, report the Glasgow Herald. The United Nations is poised to “call in” controversial £300m plans for a hotel and conference centre amid fresh concerns of a threat to Edinburgh’s World Heritage Site status. 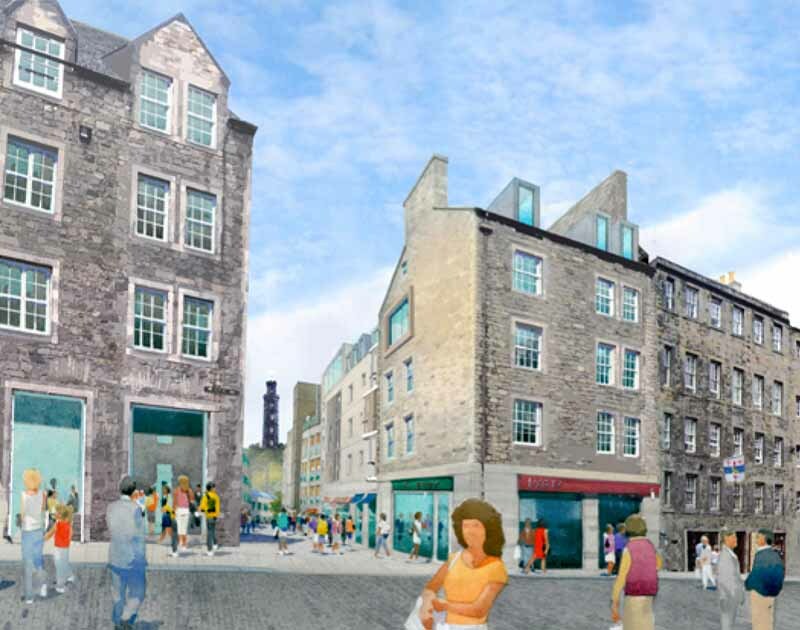 A South African-led consortium has developed similar plans for Caltongate to those that prompted UNESCO to send the previous developers of the 640,000 sqft site back to the drawing board. Now heritage watchdogs are preparing a new case to go to Unesco to prevent the city being stripped of its World Heritage Site status. UNESCO investigators warned previously that “to avoid the development having an impact on the outstanding universal value, authenticity and integrity of the World Heritage property” developers should carry out a total redesign. 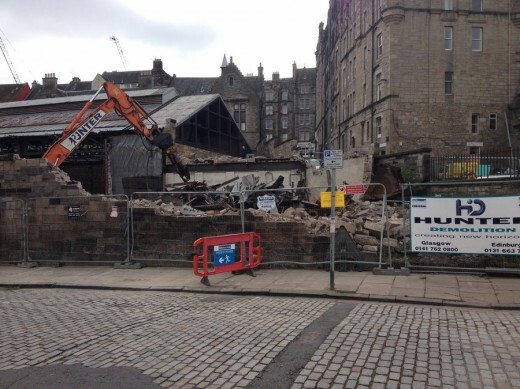 Despite some compromise on keeping two listed building facades, concerns remained over the demolition of the Canongate School – despite ongoing studies into keeping the building and re-using it as a community hub – and the scale and ambience of the development. Further detailed plans are due to be lodged with the council within weeks. It will also go before the UN World Heritage committee. 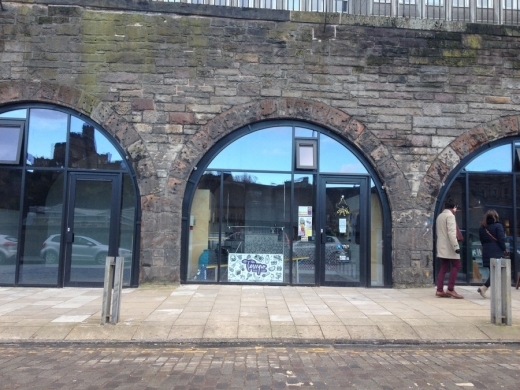 David Black, of the Historic Buildings Trust, has also contacted UNESCO, warning Edinburgh could suffer the same fate as the Baroque German city of Dresden, which was deleted from UNESCO’s list in 2009 because of the building of a four-lane bridge in the city. 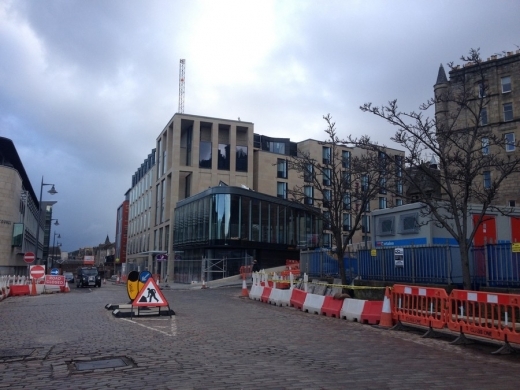 The redevelopment of Edinburgh’s Caltongate site in Edinburgh’s Old Town is back on, according to the Edinburgh Evening News. The consortium, lead by Artisan Real Estate Investors, hopes to produce designs based on the previous plans in the new year. This consortium, including South African developers, has bought part of the land, which has planning for a hotel, office complex, 30 shops and 160 homes. The new plans are likely to be more modest. Cllr Tom Buchanan, convener of the council’s economic development committee, said the fact Artisan had chosen Edinburgh illustrated how attractive the city was for foreign investors. The new plans are only for part of the land from the initial development. Several of the plots belonged to the city council, which withdrew them from the sale being handled by administrators Deloitte. However, Artisan has approached the council to acquire some of these assets. This will be debated by councillors on 22 Dec 2011. 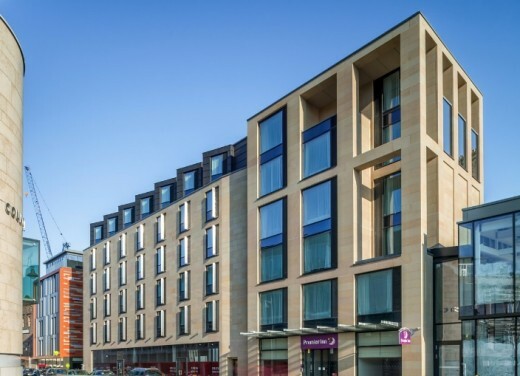 A company which has never invested outside of the Canadian city of Calgary has been revealed as the firm that wants to revive the controversial Caltongate scheme, reports The Scotsman. 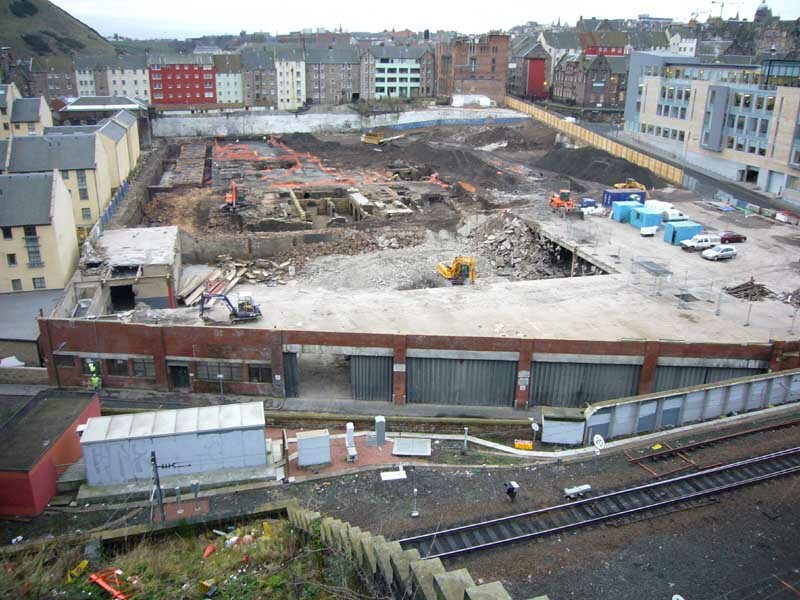 Prism Developments is on the brink of a deal to buy up the site off the Royal Mile and develop it in line with the original plans, which bit the dust when previous developer Mountgrange collapsed in early 2009. The company has only ever worked in and around the Calgary area in relatively small schemes but is now planning its first venture in Europe. 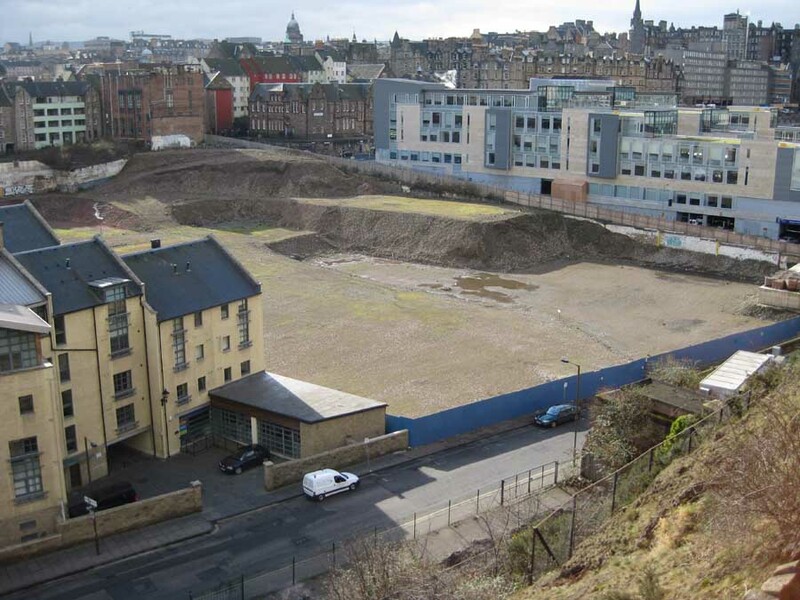 Property experts have expressed shock that a firm with no international track record is set to snap up one of Edinburgh’s most valuable gap sites, which could make way for hundreds of homes, offices, a five-star hotel and conference centre and a series of shops and cafes. 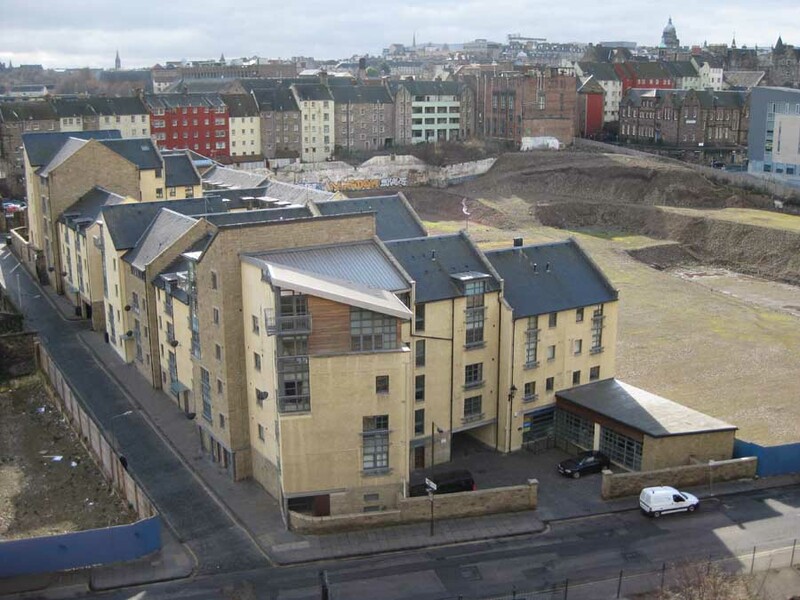 Ali Ghana, who heads up Prism Developments, has confirmed in Canada that his company is ready to invest in the Caltongate site, which is being sold by Mountgrange administrator Deloitte on behalf of the company’s biggest creditor, Bank of Scotland. One property insider said: “We checked with contacts in Canada and they said that these guys are basically frontmen with a number of secondary developments in Canada. “It is a small operation that goes out and looks for investors. That does not make them bad people but it means they have no real experience. The city council, which withdrew its own land and property assets from the site because of frustration at the amount of time it was taking Deloitte to strike a deal, could come to an agreement for the developer to snap up the assets again. Councillor Tom Buchanan, the city’s economic development leader, said: “Obviously we would like somebody to take the Caltongate site forward. Directors of Mountgrange Capital – Martin Myers and Manish Chande – have appointed Deloitte but are reportedly also considering buying the firm’s assets out of administration. 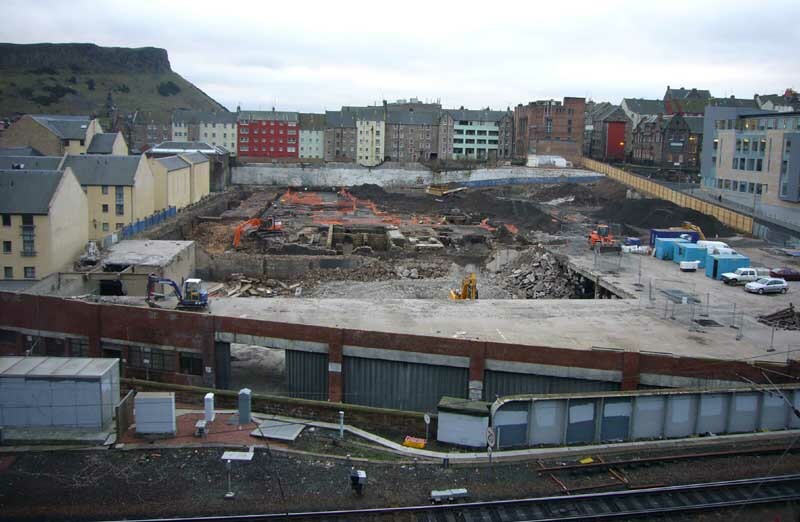 In the Summer of 2008 at least 60 architects in Edinburgh have lost their jobs due to the credit crunch and housing market failure: approval of the Caltongate project will help the city and especially in the near future all those involved in property, development and construction. Issues re the removal of buildings on the historic High Street and the lovely Victorian school have understandably upset campaigners and lessons must be learnt re dialogue. 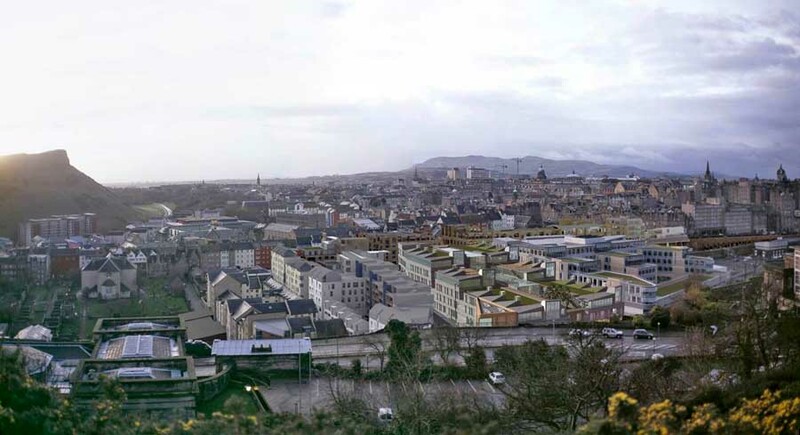 However even the smallest proposal in central Edinburgh – such as Richard Murphy’s considered Hart Street house design – are lambasted before they hit planning so dialogue is clearly difficult when a kneejerk reaction to any changes, especially contemporary architecture, is guaranteed. As developments in the capital grind to a halt and architects lay off staff the latest casualty is the major Caltongate scheme. A “procedural mistake” has been made by the planning department. Council Officials have disastrously been forced to write back to all 350 Caltongate objectors, inviting them to submit further comments and present any new evidence they believe should be considered. This may delay the project. The requirement to give objectors another 14 days to comment was apparently overlooked by council officials. The Caltongate planning application will have to be considered again, before going back to ministers for another final decision. Development in the city is notoriously slow – the project received planning way back in June 2007. The UNESCO review of the city’s World Heritage Status – reportedly driven by concerns over Caltongate – may be sited by objectors. James Simpson condemned the Caltongate project, saying it would damage Edinburgh’s World Heritage Site. 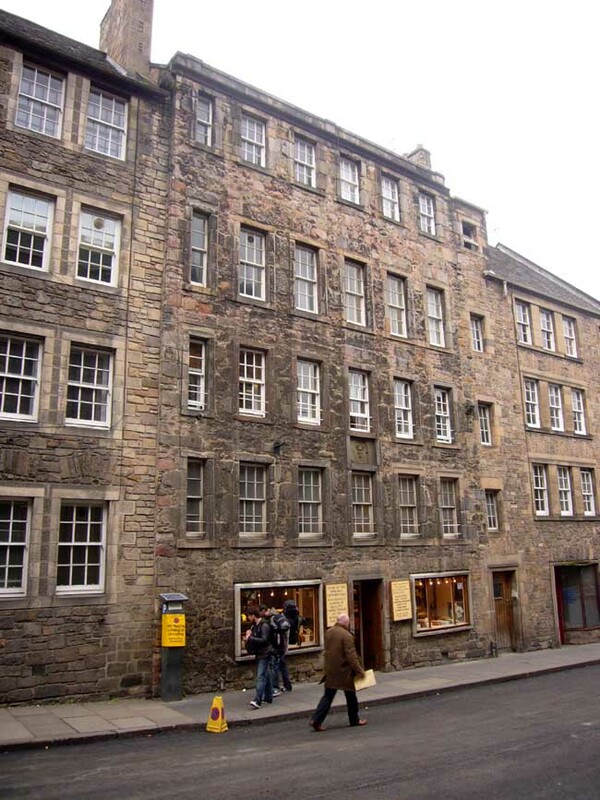 James Simpson said demolishing the tenement would be against policies and guidance of Historic Scotland and the Edinburgh World Heritage Trust. 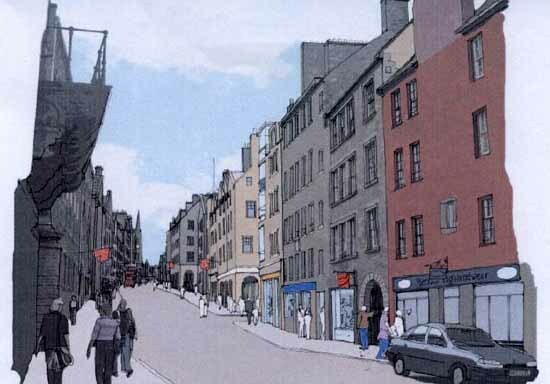 In a separate development a decision on the Caltongate development is delayed due to a site visit following objections from Canongate Kirk re 5-storey blocks on Calton Road. On the Scotsman’s Forum the Caltongate proposals are described with vitriol, eg. “Boring, unattractive, and with no sense of place or style” and compared with Tel Aviv, central Frankfurt & Plymouth! Ipsos MORI is collecting views on the proposed regeneration of the former New Street bus depot and East Market Street (known commonly as Caltongate) on behalf of a range of organisations including the developers (Mountgrange Caltongate Ltd), the Caltongate Liaison Group and the City of Edinburgh Council. Calton Gate pedestrian bridge over Waverley Valley reportedly put on hold. Canongate Community Forum has, in their words (e-mail to Adrian Welch Dec05), “been set up by 2 local residents in the Canongate to raise awareness of the proposed Mountgrange Ltd plans and the City of Edinburgh Council’s involvement; formed following developer Mountgrange’s plans to flatten listed flats to make way for offices, modern apartments and a five-star hotel: New Street Edinburgh. North Canongate Infant School is listed, known as Canongate Venture these days, built by Robert Wilson 1900-01. 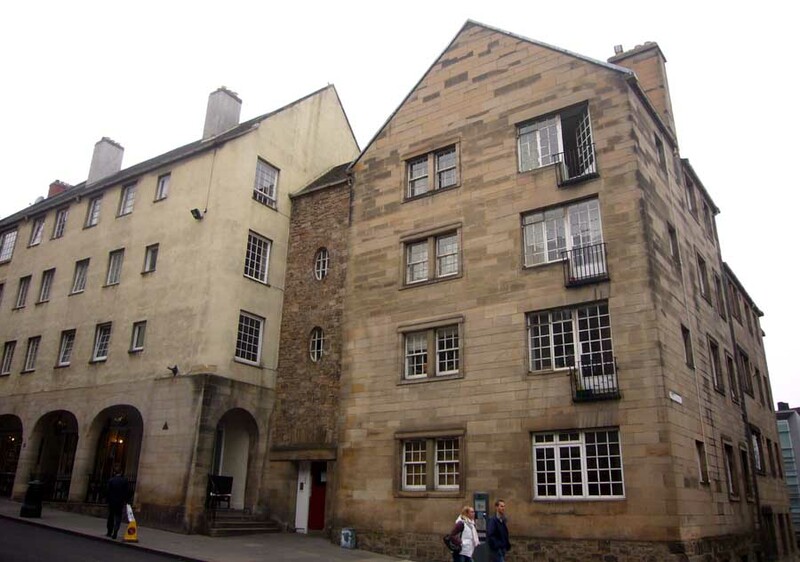 Also listed: 221-227 Canongate 1930’s tenements, part of the pioneering work at 221-229 Canongate by E J MacRae. 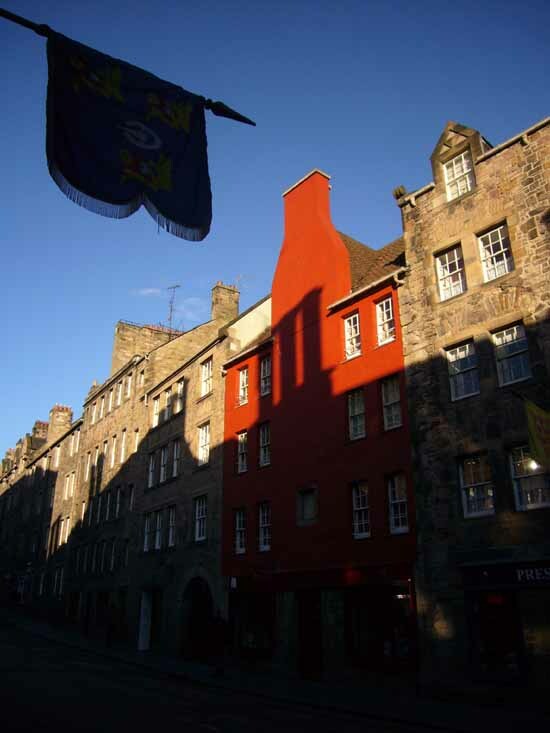 Canongate Community Forum’s Save Our Old Town campaign: www.eh8.org.uk”.